AnimeSecrets.org | Otakon 20 Announces Todd Haberkorn as a Guest! Otakon 20 Announces Todd Haberkorn as a Guest! Baltimore, MD (June 13, 2013) – Otakon is proud to welcome back Todd Haberkorn. Todd made his first appearance at Otakon back in 2010. 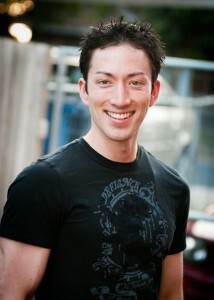 Todd Haberkorn has been on stage, on set, and behind a mic for many years. Not only is Todd an actor in LA, he works as a producer, writer, and director as well. And he’s even been an action figure or two. In the world of anime, Todd got his first major start in Suzuka as Yamato Akitski. From there, he went on to voice roles such as Natsu from Fairy Tail, Italy from Hetalia, Ling Yao from Full Metal Alchemist: Brotherhood, Keroro from Sgt. Frog, Keiskuke from Initial D, Allen Walker from D. Gray Man, Hikaru Hitachin from Ouran High School Host Club, Death The Kid from Soul Eater, Mass Effect: Paragon Lost, Pokemon and many others. As far as video games go, you’d recognize his voice in Defiance, World of Warcraft, Street Fighter IV, Ghostbusters, Silent Hill: Book of Memories, Borderlands 2, and Rage to name a handful. Todd appears with support from Studio Nasu, the makers of the game Crisis Heart Brawlers – Clash at Otakon! Otakon 2013 will be held August 9-11 at the Baltimore Convention Center in Baltimore, MD. ABOUT OTAKON AND OTAKORP, INC.: Now entering its twentieth year, Otakon is an annual celebration of Japanese and East Asian popular culture, and also one of the largest gatherings of fans in the United States. Otakon celebrates popular culture as a gateway to deeper understanding of Asian culture, and has grown along with the enthusiasm for anime, manga, video games, and music from the Far East. Since 1999, Otakon has been held in Baltimore, Maryland; currently, Otakon is one of Baltimore’s few large, city-wide events, drawing over 32,000 people for three days each year (for a paid attendance of over 89,000 turnstile attendees). Otakon is a membership based convention sponsored by Otakorp, Inc., a Pennsylvania-based, 501(c)3 educational non-profit whose mission is to promote the appreciation of Asian culture, primarily through its media and entertainment. Otakorp, Inc. is directed by an all-volunteer, unpaid staff – we are run by fans, for fans.